Cremation ground? Sun worship site? Alien landing pad? The sight of Stonehenge with its broken circle of stones and mighty central trilithons standing in apparent isolation on Salisbury Plain has been mesmerising travellers for centuries. Right now it’s enjoying a renaissance, partly because its 1960s concrete excrescences have been swept away and replaced with an airy visitor centre a mile down the road, returning the stones to their full glory and explaining what is known of their story, but also because new finds and interpretations are announced all the time. The latest discovery of huge buried stones underneath the henge at Durrington Walls, a couple of miles away, reinforces the idea that Stonehenge is one component of a planned Neolithic landscape on a vast scale. Vehicle: The visitor centre and car park (free for ticketholders) sit to the north of the A303, where the A360 and B3086 meet at Airman’s Corner. In summer traffic can back up to the Countess Roundabout: it may be worth westbound drivers taking the back route via the B3086 and the Packway south to Airman’s Corner. Interpretation and signage at the visitor centre are excellent, but audio guides for adults (£2) and for families (£6) are available on site (pick them up before you get the shuttle to the stones) or you can download them free onto your device from the App Store or Play Store. For an in-depth guide to the stones and their broader context, Blue Badge Tourist Guides can be booked from approximately £230 per day. 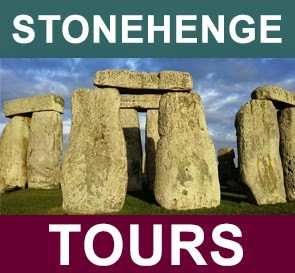 Stonehenge Guided Tours offer daily guided tours of Stonehenge and many include 'special access' tours. Getting off the shuttle halfway, at Fargo Plantation, and wandering through the trees to see the mysterious – and much older - oblong ditch known as The Cursus, before approaching the stones as they should be approached (if possible): on foot. Winter. At the end of the day, to catch the sun going down behind the stones to the southwest – even better if it’s frosty. And of course the winter and summer solstices, when entrance is free, but you have to contend with mighty crowds. The café in the visitor centre is light and bright with long wooden tables and decent food: you have to try the rock cakes, obviously, and the kitchen produces soups, sandwiches and salads and uses lots of produce from local suppliers. For a pub lunch, drive six miles for a roaring fire and Sunday roasts at the Swan at Enford (theswanenford.co.uk) or a bit further for homemade food at the excellent Red Lion Freehouse at East Chisenbury (redlionfreehouse.com). Pass the entrance to the stones and follow the fence round to the north, veering down the faint parallel lines in the grass known as The Avenue. About 100 yards downhill, turn and look back to see the stones silhouetted against the sky. Park at Woodhenge Car Park (english-heritage.org.uk/visit/places/woodhenge) near Durrington Walls and walk to Stonehenge across National Trust land. It takes about an hour, at a leisurely pace. Irritatingly, you have to walk past the stones to validate your tickets at the visitor centre, then double back. Stonehenge, Amesbury, Wiltshire SP4 7DE (0370 333 1181; english-heritage.org.uk/visit/places/Stonehenge) opens daily 9.30am to 7pm (March to October to March) and 9.30am to 5pm (October to March). Gift Aid tickets bought online cost £16 adults aged 16-59, £9.60 children aged 5-15 (infants free), £14.40 concessions (16-17 years or over 60s) and £41.60 families (up to two adults and three children). Tickets are timed entry. English Heritage and National Trust members and carers for disabled visitor must book their free tickets in advance. Prehistoric monument would have had stones higher than double-decker bus. Researchers have discovered a major prehistoric stone monument three kilometres away from the famous Stonehenge standing stones. The enormous Durrington Walls “superhenge” dwarfs Stonehenge and may have as many as 90 large standing stones associated with it. Built about 4,500 years ago it has remained hidden for millennia. The use of non-invasive geophysical technologies including ground penetrating radar have begun to reveal the superhenge’s secrets. Details of the work by the Stonehenge Hidden Landscapes Project were revealed today, on the first day of the British Science Association’s annual festival of science. The festival is hosted this year by the University of Bradford. 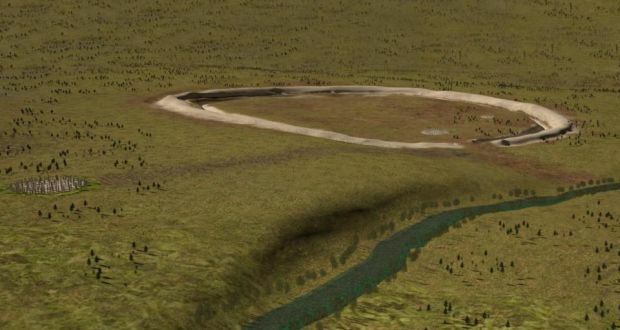 Durrington Walls is one of the largest known henge monuments yet discovered. It has a 500m diameter and a 1.5km circumference. Massive effort would have gone into its construction, as it is surrounded by a ditch up to 17.6m wide. This can be seen, in part, on the ground, but what lies beneath is more surprising. Technology has allowed scientists from the Ludwig Boltzmann Institute for Archaeological Prospection and the University of Bradford to look back through time and see the original monument. 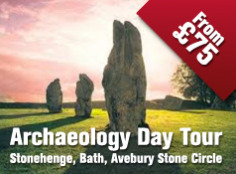 They discovered a row of up to 90 buried standing stones, some of them 4.5m high, taller than a double decker bus. Many survived because they were pushed over before being buried under the superhenge. Others have disappeared but underground evidence provided by radar and other equipment revealed the pits in which they once stood. The scientists suggest the stones and henge formed a C-shaped arena. None of the stones have yet been excavated but it is expected they will match the sandstones used to build Stonehenge. Previous surveys of the surrounding terrain had led scientists to assume only Stonehenge and a smaller henge nearby possessed significant stone structures. This new survey reveals however that Durrington Walls also had a large row of standing stones. Its dimensions and construction are unique to British archaeology the scientists say. “This discovery . 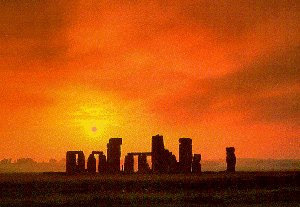 . . has significant implications for our understanding of Stonehenge,” said Prof Vincent Gaffney of Bradford, who co-leads the project. The Irish Times will provide daily coverage from the UK festival of science, which continues until Thursday.